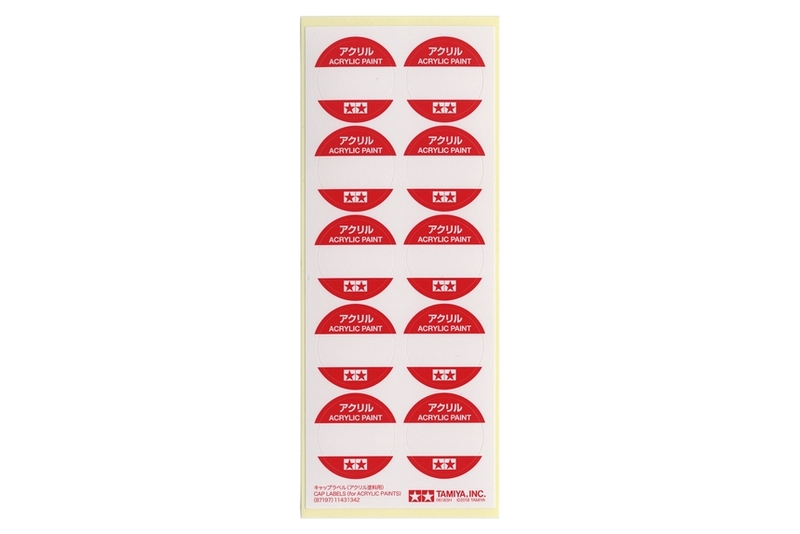 These are adhesive labels designed to fit on top of Tamiya 10ml Acrylic bottle caps or empty 10ml jars. 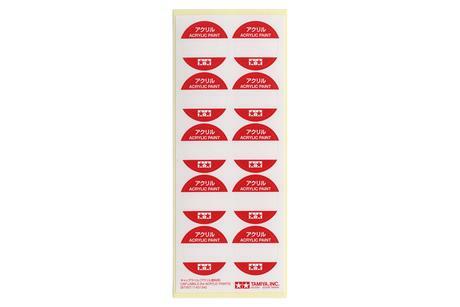 They are ideal for use when you mix your own paint for easy identification. 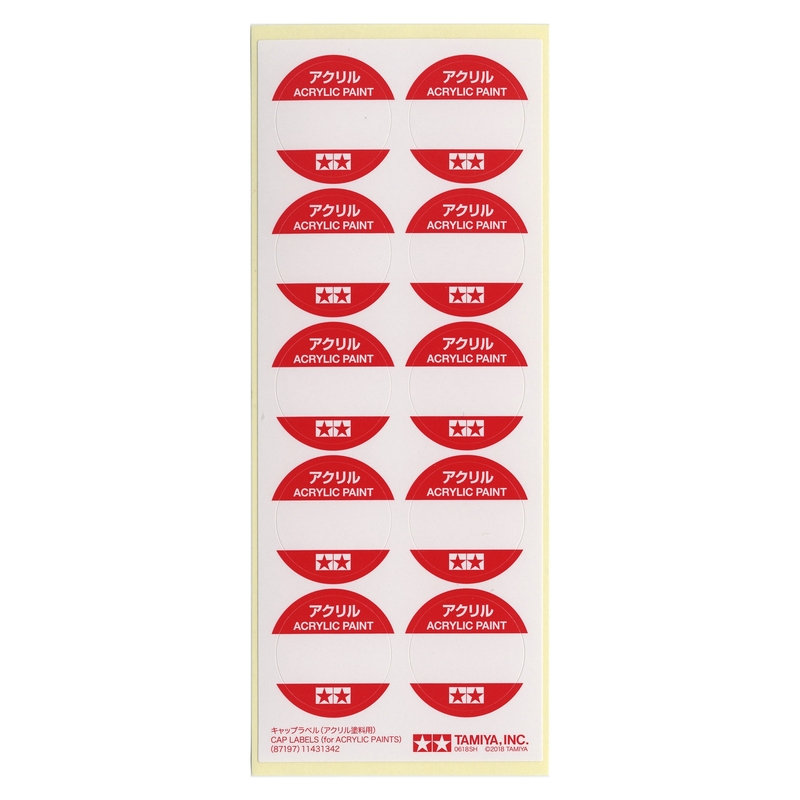 Each package contains 20 labels.